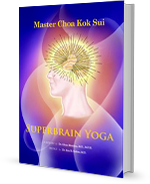 Super Brain Yoga is an ancient yogic exercise that is designed to activate, energize and strengthen the brain cells. It is a simple yet powerful technique to fuel and sustain a healthy brain in order to enhance the capability of the brain to retain and process information. Originally the great Rishis of India developed this technique to increase the intelligence of the public using the principle of ear acupuncture points. However the proper technique on how to do this exercise was distorted or lost over time, which is re-introduced to the public after extensive research and validation by Grand Master Choa Kok Sui in this workshop. In fact the brain is a “living battery” and to retain and maximize its learning capacities and its intelligence, it requires constant recharging. Therefore through regular practice of Superbrain Yoga, one’s ability to remember, think, learn, perform, express and sense can be developed beyond comprehension. The aim of Superbrain Yoga Workshop is basically to provide an effective technique to recharge the brain and optimize its functionality. It is designed for everyone who wants a sharper mind and an increased thinking ability from students, planners, executives and entrepreneurs to housewives, caretakers and old folks. Superbrain Yoga reveals an ancient Indian technique that maximizes the brain's function.